POLL: Do you want Secret Sound back? Bongani and Mags want to convince management to allow them to release a new #SecretSound. Do you think they should? KZN, do you remember this game? Do you want it back on East Coast Drive with Bongani and Mags? We’re giving YOU the final say! 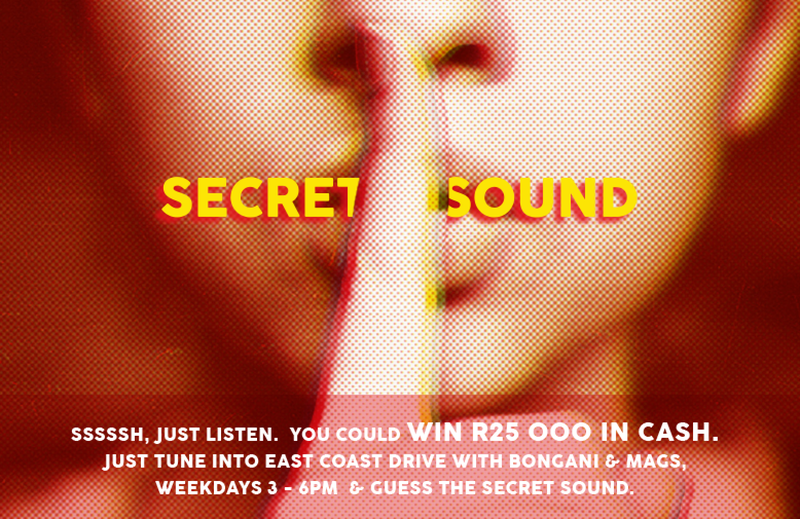 Do you want to play Secret Sound for R25,000 again? Guess the Secret Sound that's played for you, and you could win R25,000 if you get it right! All you need to do is vote YES or NO! Go to East Coast Drive on Twitter and Facebook, and get voting, and you could be playing Secret Sound for twenty five thousand rand on East Coast Drive with Bongani and Mags. We wouldn't be the best Drive Show in South Africa if we didn't want all our listeners to win big! Read: Brand new Secret Sound revealed! East Coast Drive has done quite a few Secret Sound competitions in the past - and we believe it is time for the game to return! Would you be able to figure out what the sound is?